Last year I created my Pixar/Steve Jobs "Mickey Ears" to wear during our Disney World trip, but ever since we returned I've been thinking about my next creative venture. 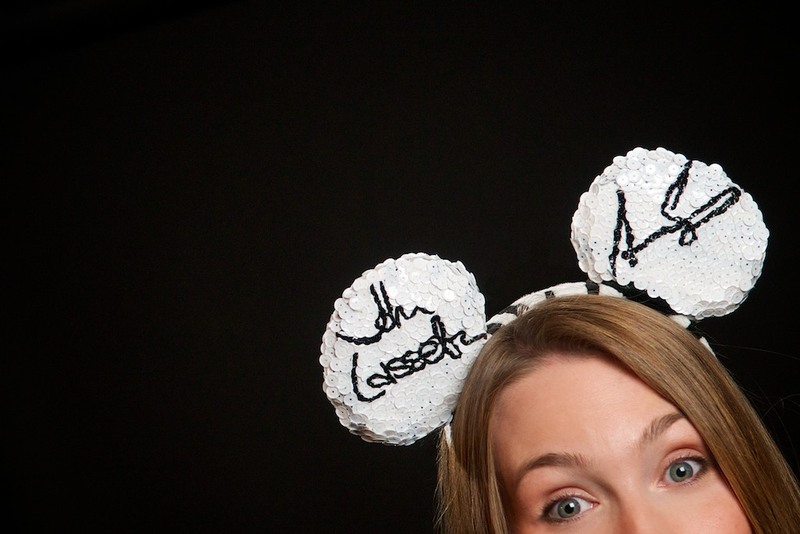 I knew I wanted to make another set of Pixar themed ears and the idea I came up with was a pair of Pixar "Autograph" Mickey Ears. I instantly knew that I would have to make two sets of ears - as there are eight Pixarians that I immediately wanted to honor. The first set is now complete with autographs from directors; John Lasseter, Andrew Stanton, Pete Docter and Lee Unkrich all set in about 2000 sequins. It took a quite some time to find photos of these talented individuals autographs as I had to scour the Internet, then re-create them all in sequins. The hardest autograph being Lee Unkrich's...whoa - that one took me a long time to finish, it was my "Yeti's Cave" of this project! A fun fact about these ears is that there are "113" black sequins in John Lasseter's signature - a nod to the "A113" that's hidden in every Pixar film. 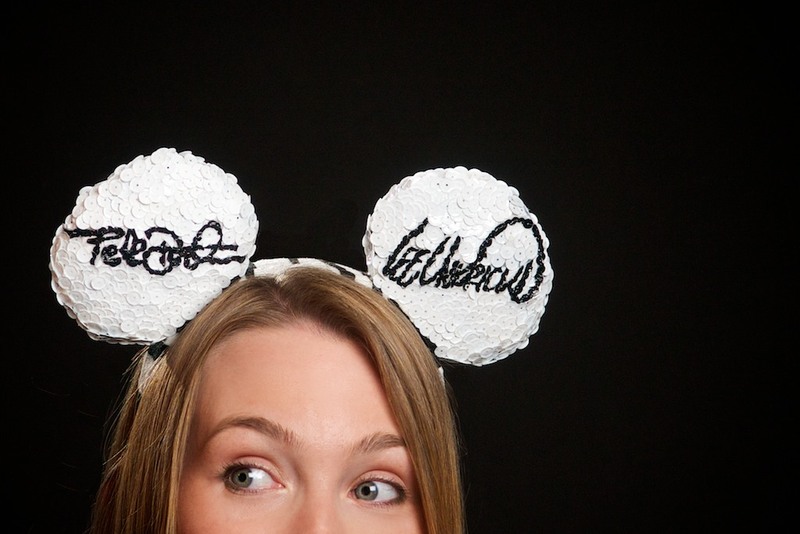 Julie created these autograph-inspired Pixar Mickey Ears - take a look.